In the German city of Bad Neuenahr you can visit a spa called Thermal Badehaus. This beautiful art deco building has an even more beautiful art deco lettering covering its facade. I had to work with only a couple of glyphs (‘Thermal Badehaus’ to be exact) and tried to capture their beauty in the remaining glyphs. 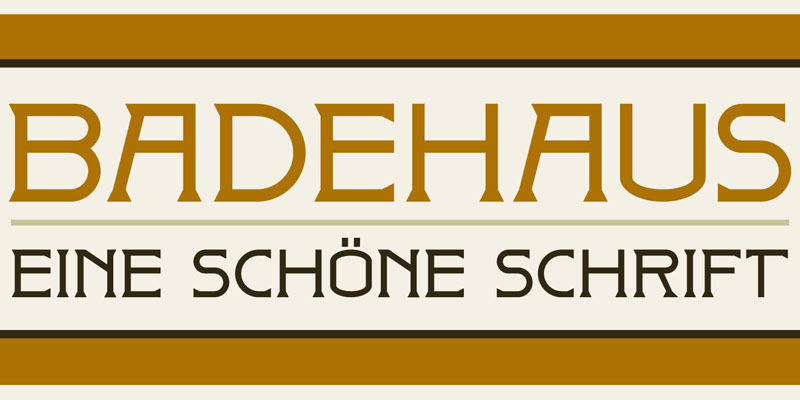 The result is a font called Badehaus (Bath House in German). It is a bold, all caps typeface, with some unique glyphs.